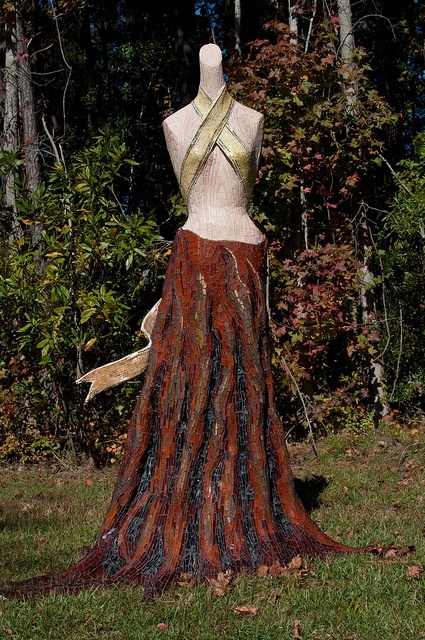 Sally May Kinsey won the Innovation in Mosaics 2012 prize during the Eleventh Annual Mosaic Arts International. When we see her piece it’s clear why. We've rarely seen such a beautiful artwork for an outdoor space. 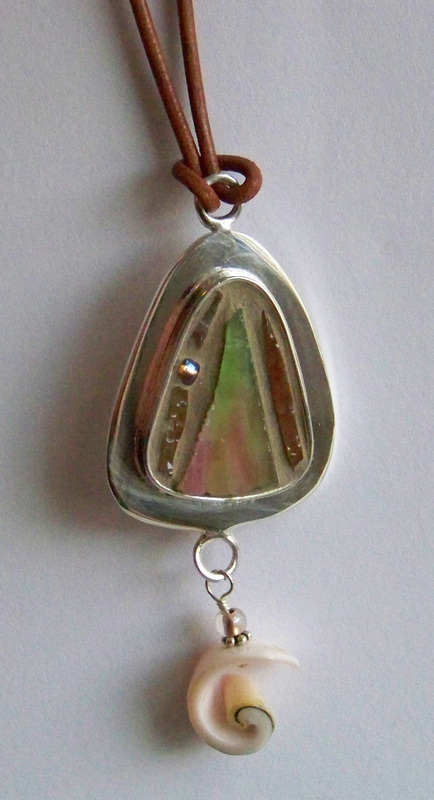 Sally May Kinsey is one of those artists who are comfortable working big projects as well as small projects. 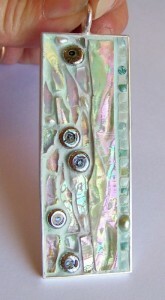 She creates fine art, furniture, decorative boxes, frames, mirrors and wearable art. Impressive! There is something about being a flexible artists and being able to work with mosaic in innovative ways that we find very attractive. 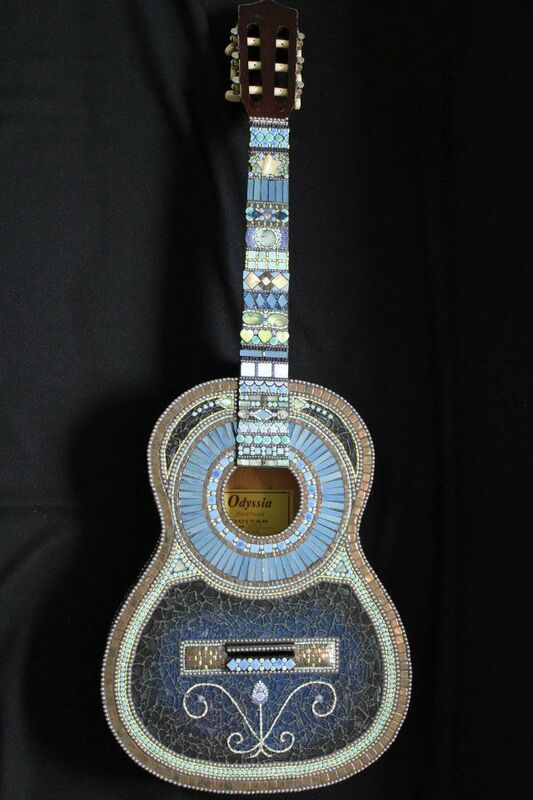 Broken guitars will always find a home after Sally May Kinsey has worked her magic on them. This is our favorite and we believe that it will not leave its viewer indifferent. Can you see the music? Whether square, rectangular or round, frames have always been the interesting solution to keep memories alive in a living space. We love the diversity in technique May Kinsey uses to do them. 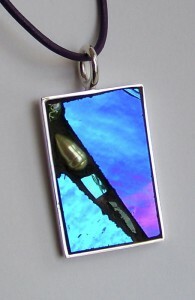 There are no two frames alike and they will make any inserted image even more beautiful to look at. But what has drawn our attention the most is her wearable art. 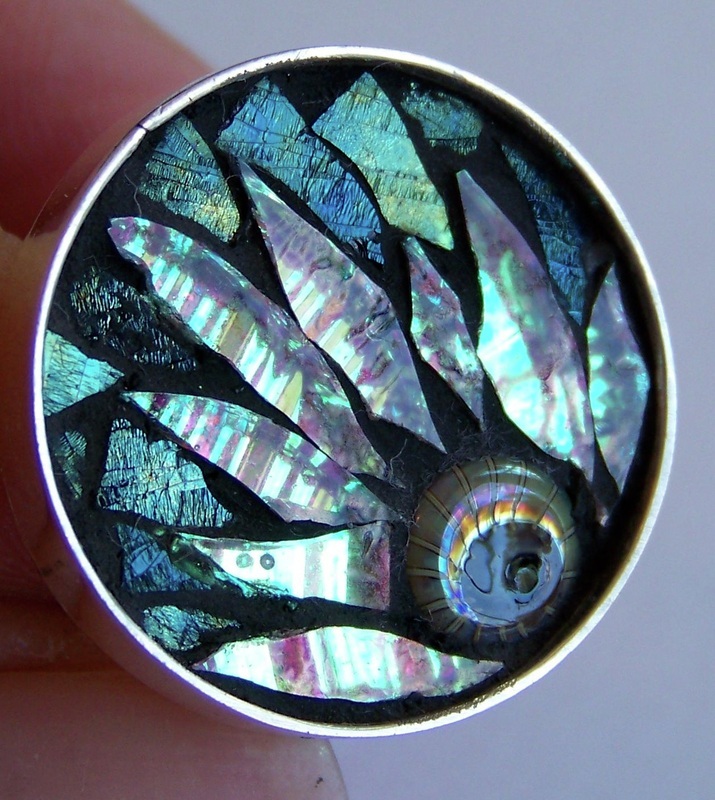 The artist does everything from rings, pendants, belt bucks, bracelets and cuff-links. We can’t get enough from them. These rings look fabulous. Their colors are so inviting that one cannot but stare at them. 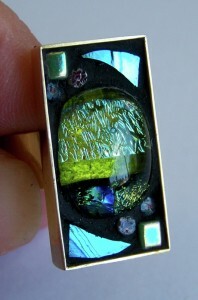 dichroic and stained glass, millefiori and glass beads, in a solid brass adjustable bezel was used for the first ring; the Modern Scarab, whereas stained and dichroic glass and custom murrini gem in a .925 silver overlay adjustable bezel was used for the second one; the Wicked Wildflower. Which one would you go for? I Shell Be: We appreciate the use of shells, the originality of the design and the harmonious colors. Split The Sky: Now this is creative; a bullet splitting the sky in two! 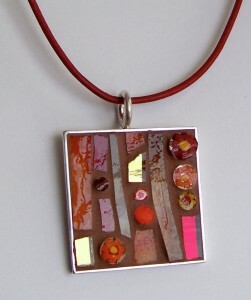 The Joys of fall: This square pendant is true to its name with its nice fall colors that range from red to brown. Pebbles on the beach: Eye-catching textured iridescent glass, custom murrini gems, Nano tiles, millefiori and genuine pearls. What are you staring at?